Being the cynosure of public and federal agencies, pharmaceutical companies need to make sure that they have well defined, robust practices in place. Following regulatory guidelines that encompass a gamut of functions ranging from manufacturing processes to marketing practices is analogous to undertaking arduous journey. Challenges multiply when drug safety, demand for transparent practices, and drift towards adoption of newer technologies come to the fore. In this scenario, holistic pharmaceutical compliance solutions untangle intricacies in patent, product, and supplier management functions and enable pharmaceutical companies to pass stringent tests of regulatory bodies. These solutions also help companies embrace new age technologies like cloud, big data, and analytics while proactively mitigating risks. It helps companies to easily manage their processes in accordance with the federal framework, audit supplier processes, and subsequently enhance their workflows. 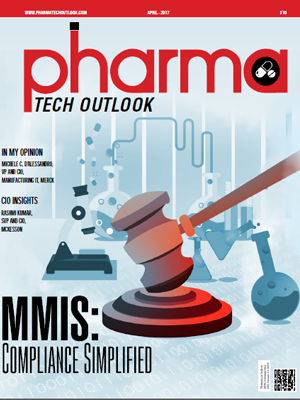 In this scenario, to help CIOs find the right pharmaceutical compliance solution provider, a distinguished panel comprising CEOs, CIOs, analysts and the Pharma Tech Outlook’s editorial board has selected the leading vendors in this arena. In our selection, we looked at the vendor’s capability to fulfill the burning need for cost-effective and flexible solutions that add value to the pharmaceutical landscape. We present to you Pharma Tech Outlook’s Top 10 Pharmaceutical Compliance Solution Providers 2017.